On 05 November 2018, China Rainbow Drone Co., Ltd. exhibited the full-size model of “Rainbow 7” large-scale stealth flying wing drone “Rainbow 7” at the Zhuhai Air Show for the first time. This is the first public display in the world. This type of drone is China's first large-scale stealth long-endurance drone, and its performance is similar to that of the US X-47B drone. Rainbow-7 is a high-altitude, subsonic, long-haul drone that is used for strategic level information protection, high-value targets, continuous reconnaissance of enemy forces, air defense suppression, and alert detection. At every Zhuhai air show, the mysterious weapon debuted at the first time is always the most attractive to the outside world. 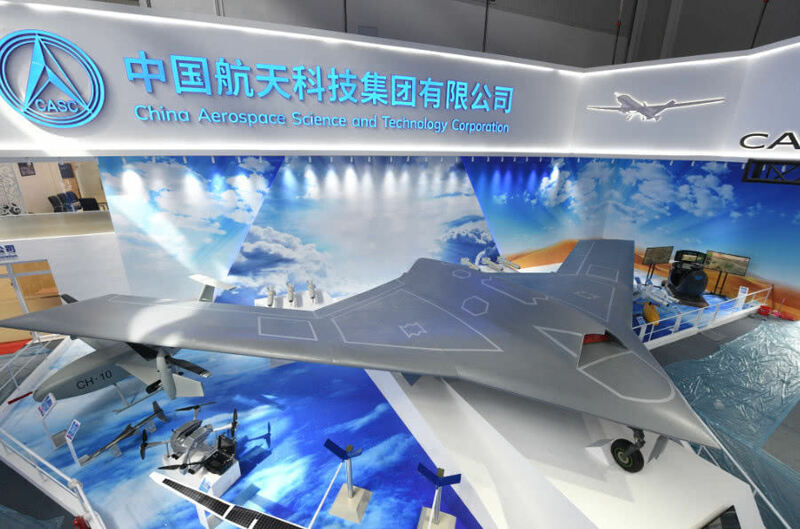 At the November 2018 air show, a huge flying wing layout stealth drone was at the booth of the 11th Research Institute of China Aerospace Science and Technology Corporation. This mysterious drone called "Rainbow-7" was the first public appearance, and it will bring about major innovations in the future air combat mode. At first glance, "Rainbow-7" attracted attention by its huge wingspan - the 22-meter wings almost occupied 2/3 of the width of the pavilion. In order to select a better angle, media reporters had to climb to a high exhibition ladder and film with "God's perspective." The CH-7 drone has a length of 10m, a wingspan of 22m, a maximum takeoff weight of 13,000kg, a cruising altitude of 10~13Km, and a cruising speed of zero. 5-0.6Ma, maximum flight speed 0. 75Ma. The CH-7 high-altitude long-range stealth unmanned combat aircraft system is a high-speed, stealth, unmanned reconnaissance strike system that can perform continuous reconnaissance, alert detection, air defense suppression, combat support, and launch in high-risk environments. Or guide other weapons to launch high-value targets and other combat missions. Rainbow-7 is a high-altitude, subsonic, and stealth drone. At present, Rainbow-7 is currently in the detailed design stage. It was claimed to have strong stealth and penetration capabilities. Rainbow-3, Rainbow-4, and Rainbow-5 adopted the traditional unmanned structure. The Rainbow-7 adopts a flying wing configuration with typical stealth characteristics, so it has strong stealth performance. With the breakthrough in aerodynamic shape, the flight control must also break through because of the need to break through the control technology of the tailless wing configuration. In terms of power, it uses a turbofan engine that can meet its high-altitude and high-speed targets. The successful development of Rainbow-7 will make China one of the few countries in the world with high-altitude, high-speed and invisible UAV development capabilities. 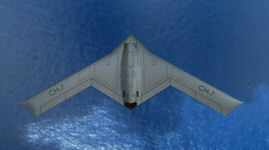 Internationally, there are similar performances in the United States, such as RQ-180, X-47B, and European "Neuron". After the successful development of Rainbow-7, it will have the same performance as these models. It is said that the main consideration of the aircraft is "to meet the needs of future symmetrical operations for high-end stealth unmanned combat aircraft." In other words, this is designed for military conflicts under the conditions of future “great power competition”. Although according to the introduction of Rainbow Company, the UAV has no clear intention of foreign users, and the first is to develop for the domestic market. However, as one of the two major drone manufacturers that have expanded in the international market in recent years, the emergence of Rainbow 7 is still enough to cause a huge commotion. Dr. Wang Yongzhi, a technical expert on Rainbow drones, told the Global Times reporter on 05 November 2018 that "Rainbow-7" is a high-altitude, subsonic, stealth drone, currently in the detailed design stage, this time is full size The way of the prototype is displayed. 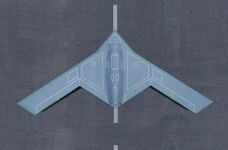 It has a maximum takeoff weight of 13 tons and has a strong stealth and penetration capability. "Rainbow-7" is a strategic equipment for information-level information protection and high-value target combat in the rainbow series. It can perform fire suppression, reconnaissance and surveillance, and long-term warning in high-risk environments. Previously, “Rainbow-3”, “Rainbow-4” and “Rainbow-5” adopted the traditional unmanned structure type, and “Rainbow-7” chose the flying wing configuration with typical invisible characteristics, so it has strong stealth performance. With the breakthrough in aerodynamic shape, its flight control technology must also be broken, because it needs to break through the control technology of the tailless wing configuration. In terms of power, it uses a turbofan engine that can meet its high-altitude and high-speed targets. According to Shi Wen, the general manager of the Rainbow series drone, the performance of "Rainbow-7" surpassed the US RQ-170 stealth drone, which is close to the newly exposed RQ-180 stealth drone, which is expected to be in the next 1-2 years. Conduct a test flight. Shi Wen said that it has made China a country with unmanned combat aircraft with long-haul strong penetration capability after the United States, which can meet the demand for high-end stealth unmanned combat aircraft in future symmetrical operations. What is the technical inheritance relationship between "Rainbow-7" and "Rainbow-4" and "Rainbow-5"? Wang Yongzhi said that "Rainbow-7" mainly inherits the advantages of previous models such as high reliability, high attendance, universal ground station, and fully automatic control technology. In addition, it will adopt a series of advanced technologies that have not been used in previous models. For the specific technical route to achieve invisible performance, Wang Yongzhi said that it will be realized through comprehensive invisible design and solution such as invisible shape, coated absorbing invisible material and body structure. Shi Wen said that the emergence of "Rainbow-7", which emphasizes invisible performance, is related to our prediction of future wars. Because the conventional configuration of the UAV in the war on terror is based on the premise of air superiority, but in the future use of drones in high-risk environments, it needs to have strong stealth and penetration capabilities. 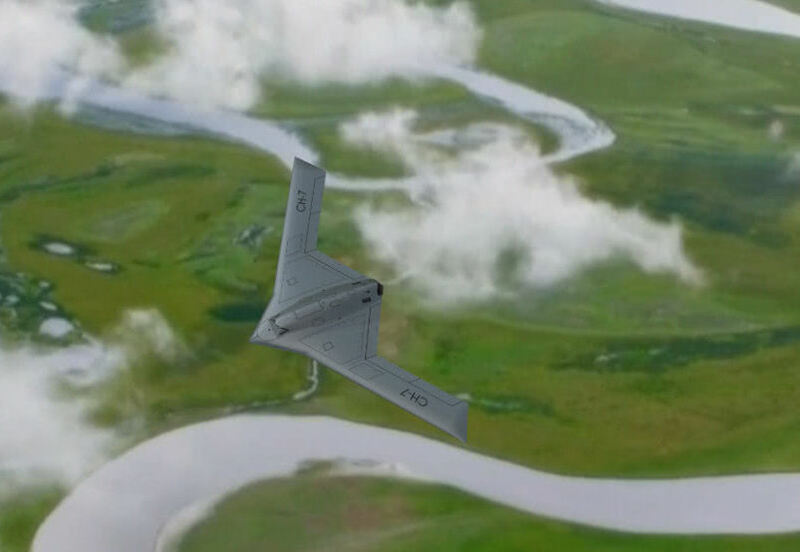 High altitude, high speed and invisibility will be the trend of high-end drone development. 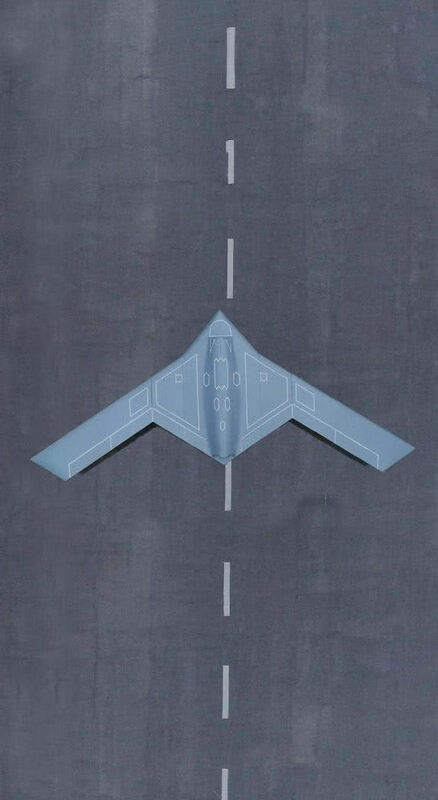 Shi Wen stressed that this kind of drone can use the invisible advantage to break into the enemy position and achieve closer long-term combat missions, including intercepting enemy radar, communication and other electronic signals, or against enemy command posts, missile launch positions, and ships. Reconnaissance, identification, and surveillance are carried out on high-value targets such as ships. He also specifically mentioned that the "Rainbow-7" UAV is equipped with a buried bomb bay, which can choose to launch anti-radiation missiles, air-to-ground missiles, long-range bombs or anti-ship missiles to destroy targets according to operational requirements. "Rainbow-5" is called "bomb truck" by Chinese military fans because of its large amount of bombs. The maximum takeoff weight of "Rainbow-7" is 13 tons, which will bring about its improvement in future applications. Wang Yongzhi said that the powerful loading capacity of "Rainbow-7" can enable it to carry more advanced reconnaissance payloads and more combat weapons, and perform the task of "seeing and playing" on the enemy's high-value targets. Foreign countries are studying and exploring UAV formation flights, as well as future operational modes of drones and manned aircraft formations. 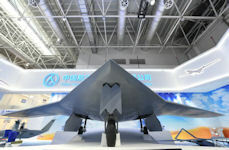 Wang Yongzhi believes that "Rainbow-7" can be combined with manned aircraft including four generations of stealth fighters to perform tasks, such as using its invisible and long-haul performance to perform pre-reconnaissance surveillance missions, and with manned aircraft and early warning aircraft. 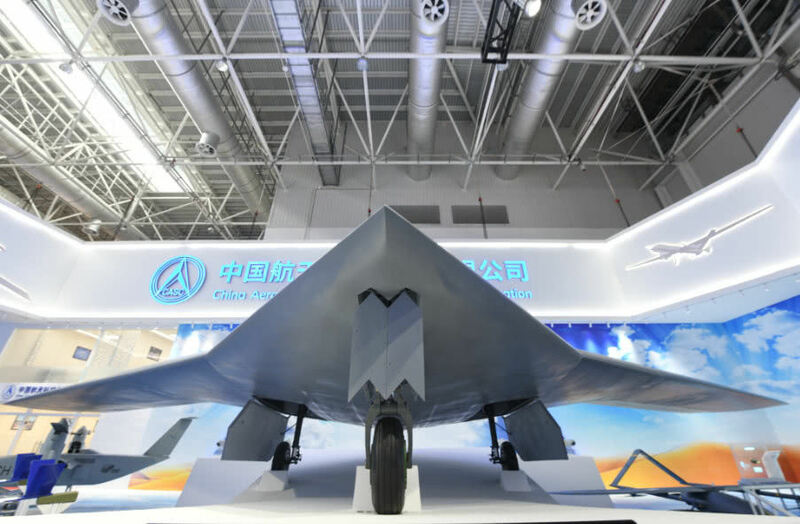 When talking about the future development direction of the stealth drone, Wang Yongzhi said that "Rainbow-7" is mainly based on meeting the development needs of China's own related equipment. If it conforms to the national export policy, it can also be a national defense of friendly countries.